HT Q&A: What's the best Blu-ray player? Link Posted: Wed Mar 26, 2008 1:59 pm Post subject: HT Q&A: What's the best Blu-ray player? Help support our forum! Purchase from Amazon.com using our links and a small percentage of your payment automatically goes towards supporting this site at no cost to you! CurtPalme.com is a participant in the Amazon Services LLC Associates Program, an affiliate advertising program designed to provide a means for sites to earn advertising fees by advertising and linking to amazon.com. JAN 2011: Update! The BDP-93 OPPO BDP-93 Universal Network 3D Blu-ray Disc Player is now shipping! JULY 2009: It's taken a long (long!) time but what many are considering the best Blu-ray player ever built is finally shipping! At $499 the Oppo BDP-83 Blu-ray player is certainly not the cheapest player out there, but you'll be hard pressed to find any player that plays as many formats (including DVD Audio and SACD) and has such excellent audio and video quality. It's truly a top-notch player. Highly recommended! 7.1 thumbs up! Oppo may not be a name recognized by most households but they've been around for some time now and their products are considered somewhat legendary by audio/video buffs. For example, their DV-983H DVD player is the only one to ever score a perfect 100 on the Secrets of Home Theater & High Fidelity DVD benchmark. So it's no surprise then that their latest product, the BDP-83 Blu-ray player would be one of the most anticipated players since the dawn of HD movies on disc. Early pre-release reviews talk of the excellent playback quality and the exhaustive list of features and formats supported. This is the 'kitchen sink' of Blu-ray players. Absolutely nothing is missing! It truly an all-in-one solution media center for high definition (and standard definition) playback. The Oppo BDP-83 plays Blu-ray discs and decodes all of the format's lossless audio schemes (DTS-HA Master Audio, Dolby TrueHD) right on board. Both 5.1 and 7.1 analog outputs are included for you audiophiles that don't have a newer HDMI receiver for decoding lossless audio. It also plays DVD, CD, AVCHD, CD, Kodak CD and even throws in both DVD-Audio and SACD high-resolution audio disc support (a first)! Additional formats like JPEG, DivX, MKV, and AVI are supported as well. It's fully BonusView and BD-Live compatible and has 1GB of built-in memory so you don't need an SD Card to use BD-Live like with some players. The DVD up-scaling is excellent and the 1080p video decoding quality via HDMI is second to none. Video output choices are 480i, 480p, 720p, 1080i, 1080p50, or 1080p60. 1080p/24 output is also available with compatible displays and the BDP-83 is one of a select few players able to upconvert standard DVDs into 1080p/24 output. The BDP-83 also offers Source Direct mode which outputs source material in its original format untouched by any processing or scaling - something the purists will enjoy. The only downside is not a huge and is one we've started to grow accustomed to in the age of digital sources: The component output video quality is not as good as HDMI since the advanced features provide by the Anchor Bay VRS ABT2010 processor are only available on the HDMI output. (The component signal completely bypasses the video processor). For the best video quality, HDMI must be used. "In a system with HDMI connections, the OPPO BDP-83 is an extremely desirable player to have because it's a fantastic Blu-ray player with a beautiful picture and speedy operation. Standard DVD processing is top notch as well and the player features high quality audio output for all the latest HI Def sound codecs as well as additional media types such as DVD-Audio and SACD in both bitstream and PCM output. Because the BDP-83's component video connections don't take advantage of the ABT2010 processor, the performance is not near as good and doesn't get quite the recommendation for systems limited to analog video connections. However, with the BDP-83's HDMI capabilities, its performance on the bench, the exceptional build quality, their continued support to their product line, and the inclusion of features such as BD-Live and additional media playback, OPPO has an out-of-the-ballpark grand slam home run. Highly Recommended." If you've been putting off buying a Blu-ray player or want to upgrade your older first or second generation player for something considerably better, this is the one to get. UPDATE: NEW LOWER COST OPPO BDP-80! The New Oppo BDP-80 is now available as well. It's a 'light' version of the BDP-83. It still features BD-Live compatibility, DVD-Audio and SACD playback but drops the ABT2010 video processor, aluminum faceplate and some of the audio capabilities of the big brother BDP-83. Other items sliced to get the price down to $289 from $499 are IR in/out, RS-232 control interfaces, and a backlit remote. Interested? Order an Oppo BDP-83 or Oppo BDP-80 and help support our forum! Sign up for our newsletter and receive Home Theater Questions & Answers right in your inbox! This question is from our March 24, 2008 newsletter. Q: I want to add Blu-ray to my home theater setup and everyone seems to say that the Playstation 3 seems to be the best way to go. Is this true? Why? For home theater use, is there any difference between the various Playstation 3 models that I should know about? It seems the only difference is hard drive size. I'm willing to spend more money on a larger hard drive but I'm not sure I need it. Price: The PS3 is not much more expensive than other Blu-ray players. Upgradeability: The PS3 was the first player to be upgraded to the final version of Blu-ray called Profile 2.0. Most other players are not simply upgradeable. Have a first generation Blu-ray player and want profile 2.0? You have to buy a new one! As it's basically a powerful computer, the PS3 is the only Blu-ray player out there with the hardware required to be 100% upgradeable to any new future standards. It's 100% flexible. Sony is even talking about adding a Tivo-like PVR in the future! The possibilities are limitless. Load times: The PS3 is the only player that boots in a couple of seconds and has 2-3 second disc load times. Most other players take a long time to boot (up to 60 seconds) and as long as 2-3 minutes before the movies starts playing after you insert a disc! General responsiveness in terms of skipping chapters or moving around in the menus is much faster on the PS3 as well. It may not seem like a big deal but the other players are just downright sluggish and frustrating to use. Audio/Video quality: The picture/sound quality is the same between the various Blu-ray players when outputting audio and video in the digital domain using HDMI and Toslink/SPDIF. Don't be fooled by marketing: Bits are bits! It makes no difference! 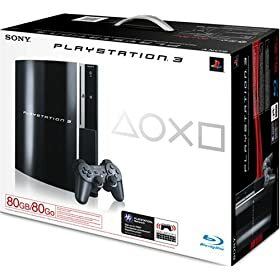 Resale cost: If you do decide to sell for any reason, the resale value of the PS3 will be considerably higher than any set-top Blu-ray player as new set-top players are coming out every few months while the PlayStation product cycle is more like 6-8 years. Good luck selling your 6 month old Blu-ray for even a fraction of the cost you paid! For those of you interested in a Blu-ray player, stop thinking of the PS3 as a gaming machine. I (Kal the webmaster) was short-sighted enough to do this and am now kicking myself now for not thinking more openly. I did not want a gaming machine in my home theater but after researching the options it was the only player that made sense so I jumped in with both feet. I didn't think I'd want to play any of the games, but after downloading some of the free demos (just a few clicks right in the PS3 menus) they're actually quite fun even for non-gamers. 1080p HD movie trailers are also available for download and are fun to watch as an intro to movies. You can also photos, music (CDs/MP3s). It's a complete media center. The interface is incredibly easy to use, or should I say, there's really nothing to do! To play a movie you simply insert a disc. That's it! The PS3 will also scale up your standard DVD so your regular DVD player is no longer needed. For Blu-ray and DVD playback, there is no difference between the different versions of the PS3. They will all give the same result. There are various hard drive sizes available and frankly even the smallest is large enough for most people and makes no difference in terms of Blu-ray or DVD movie playback. I've downloaded just about every game demo and movie trailer available and the 60 GB drive in mine is not even half full. How is Blu-ray better than DVD? 6 times the resolution: 1920x1080 instead of 720x480! Much wider colour range: The colour space for HD is broader than with standard definition resulting in greener greens, redder reds, etc. Colours that you've never thought possible are now visible! Increased sound quality with new audio formats: Standard DVD only provides 448 Kbit/s for Dolby Digital and typically 750 Kbit/s for DTS. Blu-ray offers completely lossless audio at rates greater than 6000 Kbit/s. Even if your receiver cannot decode the new lossless formats you will still benefit as the base Dolby digital and DTS rates are increased to 640 and 1500 Kbit/s respectively. This is a 43-50% increase in sound information without even changing your receiver! Interested? Order the Playstation3 from Amazon and you can have it at our door the next day - free shipping in the US! Kal, it's because of you that I am now buying a PS3....I had dismissed it as well, but now I'm definitely on board. How about some Q&A for the PS3 as a media streamer? This is yet another feature of this machine which could be very handy for those of us who download the odd flick. Do I have to stream the movie, or can I put it on the harddrive and play it? Have you tried playing any other downloaded movies? To take this one step further, will the PS3 play ripped Blu-ray/HD-DVD files? I have over 3TB of content on my HTPC but I would like the simplicity of using as PS3. What format would the ripped files be in? I love the option of losing this HTPC...it's up for sale now, and I'm very, very happy about it! Chris, have you looked at the PS3 thread on abhdtv.net?? All my files are copied directly from the disks with no conversion. I'll check out that thread. Glad to hear I'm to blame! How about some Q&A for the PS3 as a media streamer? Hmm, that would require me to know something about using the PS3 as a media streamer. I've never actually tried it myself but I know it can be done easily. You can stream content directly from Windows Media servers on Windows PCs. This is yet another feature of this machine which could be very handy for those of us who download the odd flick. Do I have to stream the movie, or can I put it on the harddrive and play it? You can definitely put it on a harddrive and play it. I don't have a list of which formats are supported, and a I know the recent 2.20 firmware also now allows DivX and WMV format videos that are larger than 2GB will be played. You can simply plug in a large external drive into any of the USB ports and play that way. Never tried it myself though. I know there are a lot of people doing stuff like this so maybe some of them will chime in with more ideas and what does/does not work. The good news is that Sony keeps adding more and more features every month. You and your PS3 message in the mailer is the reason I posted my thread! I thought, "hmmm, maybe I missed something!". What about ripped VOB files? Can I plug in an external 500GB hard drive full of DVD audio/video directories? it takes a village, but not just any village—and certainly not the village of Corleone on the outskirts of Palermo, Sicily! As I mentioned above, I've never tried any other file formats so I have no idea what works/what doesn't. Sorry. Do you have any links to your tests Ken? Assuming that no digital processing (mosquito noise, gamma curve adjustment, etc.) is done, I'm a bit confused as to how one players can look or sound any different in Blu-ray playback if all they're used for is a digital transport to output video over HDMI and audio via bitstream (ie: video taken directly off disc at 1080p/24 and no internal decoding of audio). Or maybe you're not talking about Blu-ray playback but DVD upscaling? Or about bad edits/poorly flagged discs? I have had Sony BDP-S1, Samsung BDP-1000, BDP-1200, PS3 and personally A-B'd the stand alones to the PS3, all were wired identically with Monster M1000 HDMI cables from played to Meridian HDMax 421 switcher to my display (70" Sony SXRD 1080p (not 24p though). The PS3 was obviously wired via optical to my Meridian 861v4 while each of the standalones were wired via coaxial. I own and had a rental copy of Spiderman 3 so each player had the same disk in it for the tests. There was no comparison. Each of the standalones had better color, edge detail and contrast, the bass was weak at best from the PS3 when compared to standalones. FWIW I never did any comparisons with SD DVD's. I just don't understand how that could be possible. You don't understand how a game machine would play movies worst than a dedicated movie player? Do keep in mind that no source sends out a signal "unmolested". If it's a digital signal, unconverted, I also don't see how it's possible. I do see how a game machine could be worse but I don't see how it could be in this instance. Meaning: what mechanism is at work? Is the machine filtering the data somehow? I seriously doubt it. I especially doubt his claim about the bass difference. That's a pretty low-level signal to be lost. That's what I don't understand then. How exactly can the signal be 'molested' or a better question is why: Isn't it more work to modify the signal in some manner in the digital domain than to just pass it straight through unchanged? I'm sure there are many areas where it could be not as good as an upper end stand alone. That being said, I'll be it looks great...Kal, we'll have to do an A-B vs a standalone and see for ourselves. The PS3 still remains one of the best Blu-ray players on the market today, mainly because of its reliability, future proof design, and ease of use. But even on the HD side, this is flawed in terms of video processing. The PS3 is not capable of doing any correct I/P conversion of 1080i material and merely passes along the 1080p content of the pre-recorded disc (albeit very well). Not sure how this really would impact me...especially if I'm going to use 1080i. All that is fine and dandy but again, that's comparing features. What I want to understand is, how can the PS3 and other Blu-ray players look any different if they're are *ONLY* (this is the important part) used as a digital transport to extract the 1080p/24 signal and pass it along via HDMI? Isn't the goal of all players to pass the signal completely unaltered? perhaps, but what is this I/P conversion stuff? I have it on very good authority that not all dvd players sound the same through their digital audio connections....not sure how it could be possible, but I think it is. Perhaps jitter could be an issue with audio and maybe even video...? How does it compare to PS3? The main issue with the BD-P1200 is price--its $800 street price is considerably higher than the $600 price tag of the PlayStation 3. There's no doubt the BD-P1200 has some advantages over the PlayStation 3 for home theater use--its standard form factor, excellent upconversion, analog audio outputs, and the fact that it uses a standard IR receiver (the PS3 doesn't) are all working in its favor. On the other hand, the PlayStation 3 offers the same picture quality on Blu-ray discs, as well as offering next-gen gaming, an internal hard drive, and media playback capabilities--not to mention that Sony will almost certainly continue support and upgrade the PS3 for many years to come. Don't get us wrong, the BD-P1200's HDMI 1.3 input, excellent image quality on Blu-ray discs and DVDs, and an upgradeable Ethernet port give it an edge over all current first-generation standalone Blu-ray players. On the other hand, prices for standalone are going to have to fall quite a bit before they can compete with the PS3 for value-conscious buyers' dollars. That's a good point. The PS3 has to interlace the 1080p/24 signal and convert it to 60Hz if someone uses 1080i/60 output. Maybe some players do this better than others. If you use 1080p/24 native output then I think they'd definitely be all the same. I find this hard to believe. Producing a 1080i/60 signal from a 1080p/24 is about the simplest task I can imagine. I'm not sure anyone could mess that up. Bear in mind that you don't read MPEG2/4 or VC-1 from the disc and send that out to the display. They don't consume these. Also, all players provide some level of settings (enhanced black, etc) which means they have to mess with the signal. Now, do I believe that in a double-blind test anyone could tell the difference between a PS3 HDMI and one of the others? Frankly, no. I have no doubt, he expected to see everything better on other players and low and behold it was! $20 says he couldn't tell the difference if he had no idea of what source he was looking at.